A THRIVING, HISTORICALLY RICH VILLAGE, DITCHLING IS THE IDEAL BASE FROM WHICH TO EXPLORE SUSSEX. Ditchling is a picturesque village nestling under the South Downs just north of Brighton, complete with Saxon church, village green and duck pond. There are a few shops, two excellent pubs and various cafés all within easy walking distance of The Jointure Studios. It’s a conservation area with historic buildings and a heritage of art and craft, reflected in the creative community of the village today. Surrounded by beautiful countryside, the village is only 8 miles from Brighton and Lewes, and it’s easy to get here: Hassocks station, which is on the main London-Brighton train line, is just two miles away, as is the A23. Nearby attractions include Glyndebourne, Charleston Farmhouse, Plumpton Racecourse, Hickstead Showground, vineyards and beautiful gardens open to the public. Ditchling is well served for places to eat and drink: the two pubs, The Bull and White Horse, serve excellent food and local beers and wine, and at the Green Welly, Ditchling Tea Rooms and Museum café you can indulge in delicious cakes and much more. The area has become known for its vineyards, particularly Ridgeview and Court Garden Vineyard producing fine sparkling wine. Visit the vineyards or pick up a bottle and other local produce at the village deli, The Larder. 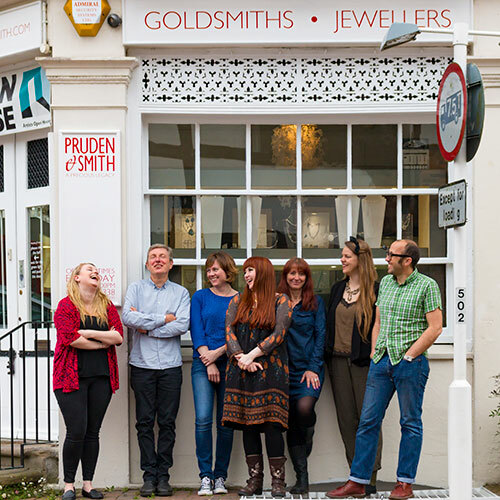 Ditchling has a rich artistic heritage, celebrated in the highly acclaimed Ditchling Museum of Art+Craft, and the thriving community of contemporary artists and makers: Pruden & Smith silversmiths and Jane Hopkinson handbags to name just two. During the Brighton Festival in May, there are many venues and artists’ studios open to the public as part of the Art in Ditchling Trail, including exhibitions at The Jointure Studios. Walk out of the door and into the National Park. Surrounded by woods, fields and the expanse of the South Downs, Ditchling is ideally placed for walkers and cyclists or simply to escape the city, with miles of paths and countryside to explore. There are also a selection of nearby golf courses, a tennis court, horse riding stables and cycle hire. Ditchling is situated within easy distance of Lewes: an historic market town with Norman castle, antique emporiums and independent shops and cafés. The vibrant city of Brighton & Hove with its iconic Pavilion, Museum & Art Gallery, seafront with the pier and i360, music venues, shops and cafes to suit every taste, is just a short hop away. Beyond the South Downs is the dramatic coastline and white cliffs of Seven Sisters, Birling Gap and the meandering river valley at Cuckmere Haven. To the north is the vast heathland of Ashdown Forest, home of Winnie-the-Pooh. Here are some suggestions for local places and events to visit.